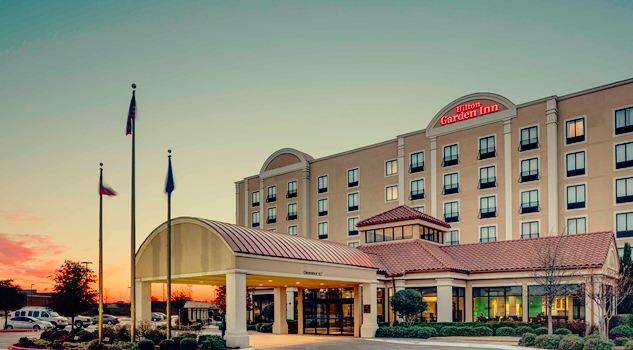 Hilton Garden Inn Dallas Lewisville Make your day hotel stay enjoyable and comfortable by booking your day stay at Hilton Garden Inn Dallas Lewisville. 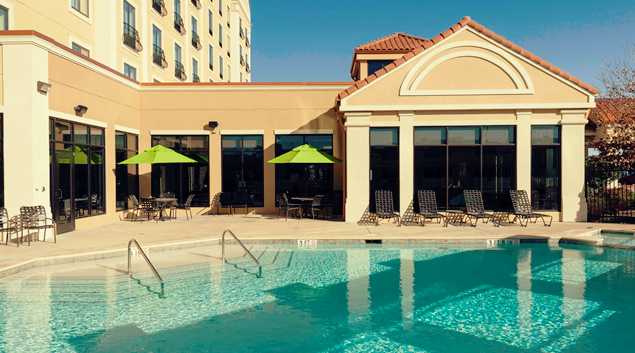 Get ready for a cool daycation under the Texan sun. 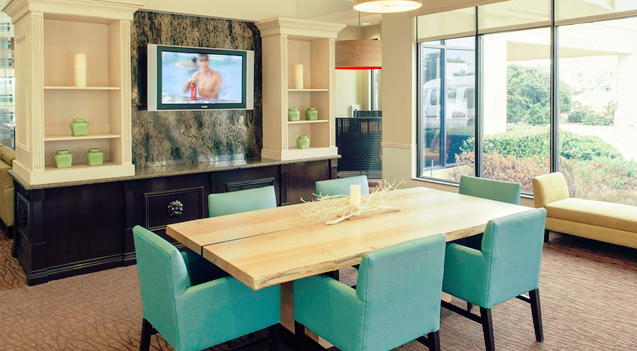 With benefits of good location and a happening neighborhood, the Hilton Garden Inn Dallas Lewisville is truly ideal for both fun and work. Be it a relaxing dayuse with family or a business assignment in town, the hotel offers comfortable accommodation with modern amenities. Easy access to state highways saves time, providing excellent connectivity to Dallas and surrounding areas. 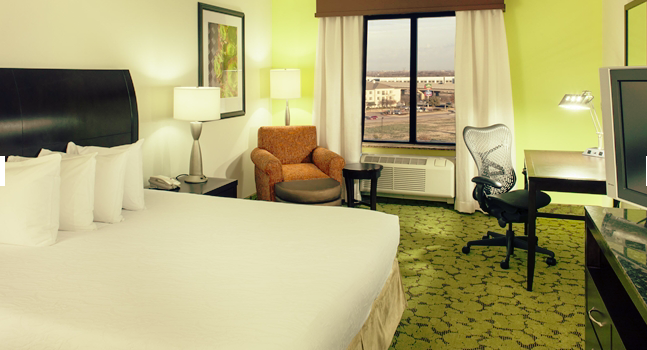 Less than 13 miles from the Dallas Fort Worth International Airport, the hotel saves precious hours and minutes. 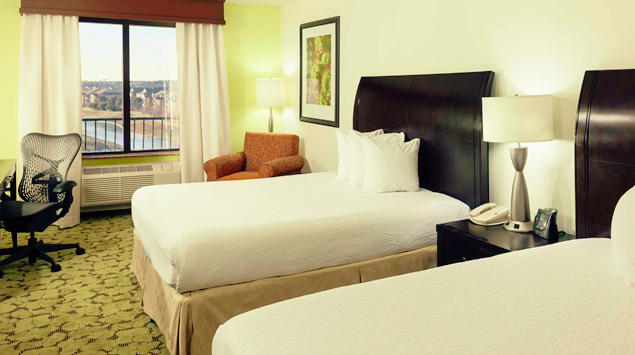 With a wide range of 165 guest rooms and suites, every need is taken care of. 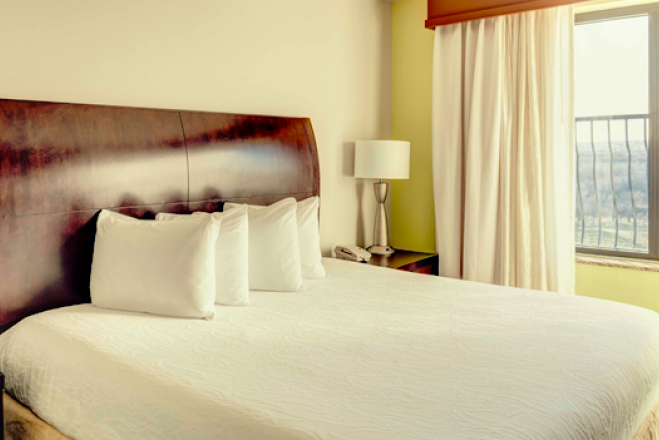 Each room offers flat screen TV, Free Wi-Fi, coffee maker, work desk and chair, microwave, refrigerator and comfortable bedding. 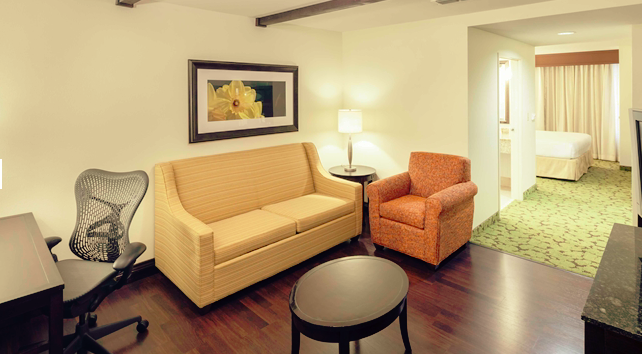 Suites offer the convenience of larger space, separate sitting area, sofa and second TV for families. 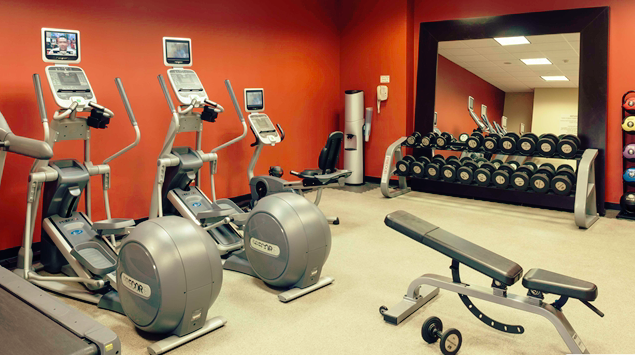 Step out from the comforts of the room to common hotel facilities that include a pool, fitness center, well-equipped business center and lounge area. 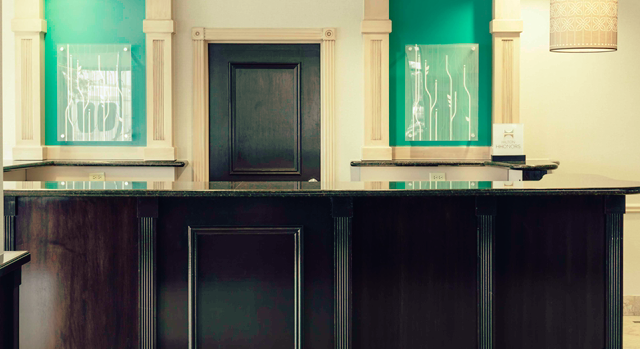 The hotel also provides local transportation service, laundry, safety deposit box, baggage storage, luggage hold, elevators, room service and on-site convenience store. 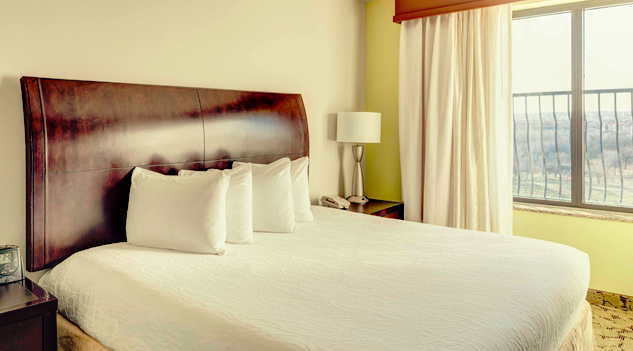 Surrounded by numerous restaurants, shopping centers, local attractions and activities, this hotel offers perks of a nice location. There is something for every member of the family. 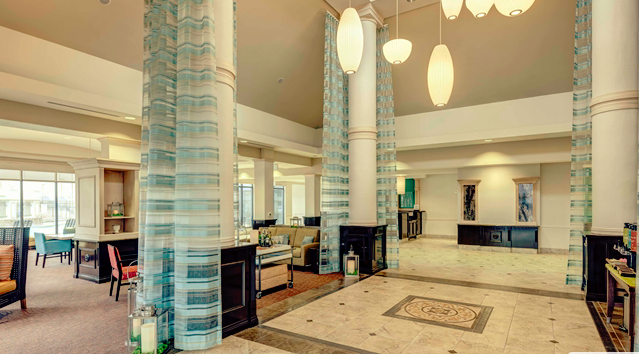 Shop at the Vista Ridge Mall just few steps from the hotel or catch a movie at the multiplex. Enjoy adventurous rides at the Six Flags over Texas, visit the Dallas Zoo, catch a game at the Cowboys stadium or simply rest in a park, there are many things to do in Dallas Lewisville. Explore all of this and much more with the flexible option of booking hotel room for a day stay. Music City Mall – Enjoy shopping, movies, and dining at this huge mall in the neighborhood. It offers variety of brands and stores of fashion, home goods, accessories and electronics within its premises. Watch a movie at the Cinemark theatres in the campus. Sandy Lake amusement park – A fun spot for the entire family, this outdoor entertainment has more than 20 colorful rides, picnic grounds, paddle boats and play area for kids. It also offers miniature golf course, arcade with video games, swimming pool and food joints. LLELA Nature Preserve – Located next to the Lewisville Lake, this nature preserve offers scenic views, walking trails, fishing, camping, kayaking and much more. Explore the beauty of nature with variety of trees, wildflowers, grasses and plants. Observe butterflies, amphibians, reptiles, birds and participate in guided tours to learn more about the area. Complimentary on-site self-parking spaces available. Smoking is prohibited in hotel rooms. Pet animals are not allowed except service animals.